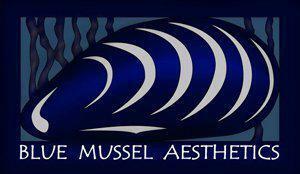 Welcome to Blue Mussel Aesthetics! Co-founded by two advanced nurse practitioners with master’s degrees in nursing and more than 20 years of experience in critical care and flight nursing, Blue Mussel Aesthetics in Juneau, Alaska, is the premier medical aesthetics practice in the area. Practice owners Kathy Kartchner, APRN, FNP-C, and Rebecca Young, APRN, FNP-C, along with their dedicated medical aesthetic team, make it their goal to provide the highest level of aesthetic care to southeast Alaskans in a professional, comfortable, relaxed atmosphere. Additionally, the highly experienced team at Blue Mussel Aesthetics aims to develop a personal, meaningful relationship with each of their clients, so they can help them align their inner and outer beauty. The medical aesthetic team at Blue Mussel Aesthetics offers the latest technology, state-of-the-art treatments, and most advanced medical quality aesthetic services, including laser hair removal, cosmetic injections, CoolSculpting® body contouring, and a host of skin rejuvenation services. Kathy, Becca, and the team help their clients understand treatment options so they can make well-informed decisions about procedures with realistic expectations for the desired outcomes. With a commitment to excellence and client satisfaction, the medically trained professionals at Blue Mussel Aesthetics welcome both men and women from teens through adults to their practice for personalized, client-centered treatments in a serene spa atmosphere. "Knowledgeable, considerate, professional and true artists in their field. Juneau is so lucky to have this team in our little town." "I have been going to Blue Mussel since they first opened. A knowledgeable, friendly group of women. My skin looks so much better and fresher." "Great results on the hair removal laser treatments. Every single lady that had worked with me has been super friendly professional and caring." "The only place in Juneau to consider for all your aesthetic needs! Kathy and her team are the best!" "What an awesome group of women. Kathy & Becca went all out when creating this beautiful spa. Their focus to detail and terrific customer service really sets them apart."